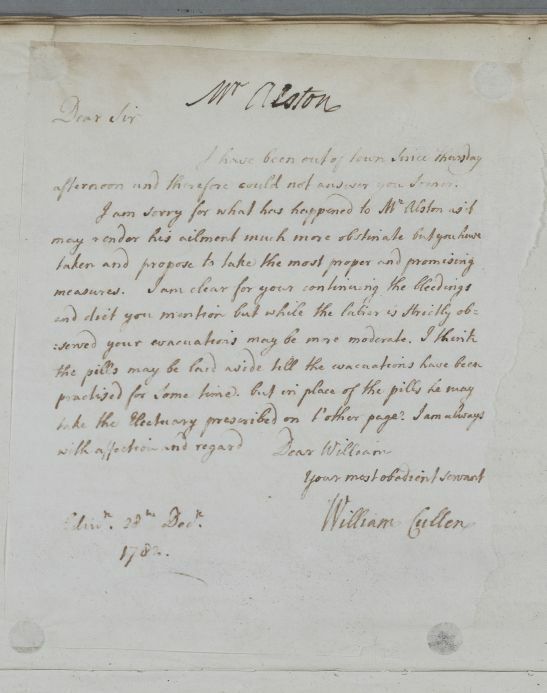 Reply, brief, to William Hamilton regarding the ongoing case of Mr Alston; Cullen agrees with the current treatment, and encloses a cephalic prescription. 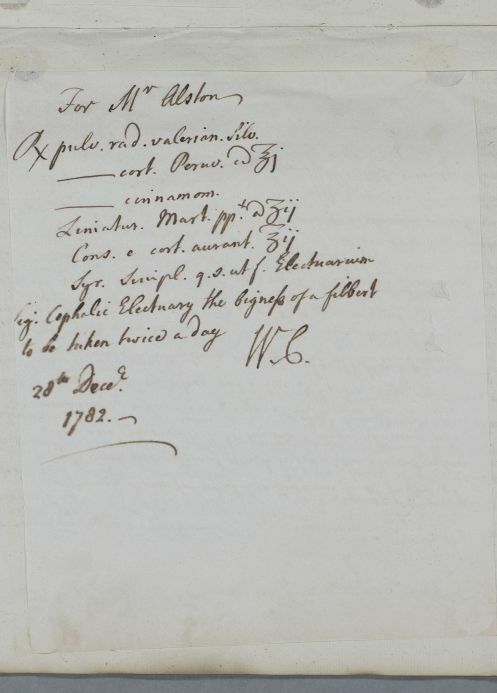 Summary Reply, brief, to William Hamilton regarding the ongoing case of Mr Alston; Cullen agrees with the current treatment, and encloses a cephalic prescription. Case of Mr Thomas Alston who spits blood and consequently has a poor prognosis and whose case eventually proves fatal. afternoon and therefore could not answer you sooner. ℞ pulv. rad. valerian. silv.